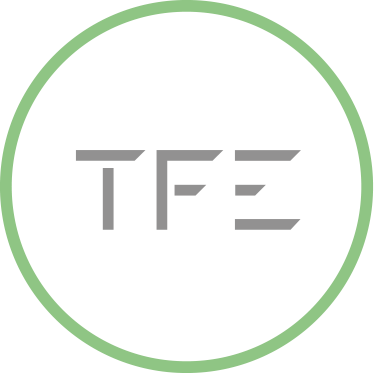 The TFE-Modus repository allows consultants to capture and maintain data in a structured format. The meta model defines and maintains the relationships between Target Operating Model dimensions. These interactions allow us to define target state quickly and you to interrogate the efficacy of a change initiative. The repository UI has been designed to allow the swift creation of up-to- date visualisation tools. TFE-Modus HTML Target Operating Model Visualiser – an effective emailable Target Operating Model visualisation, allowing clients to navigate and understand linkages between our different TOM dimensions. Visualisations include – Process Models, Functional Models, Data Views &amp; a highly configurable set of additional fields. TFE-Modus Roadmap HTML Visualiser – Once defined a target operating model needs a robust, costed implementation roadmap. The TFE roadmap visualiser provides you with scenario based road-mapping breaking long term implementation programmes into budgetable blocks. 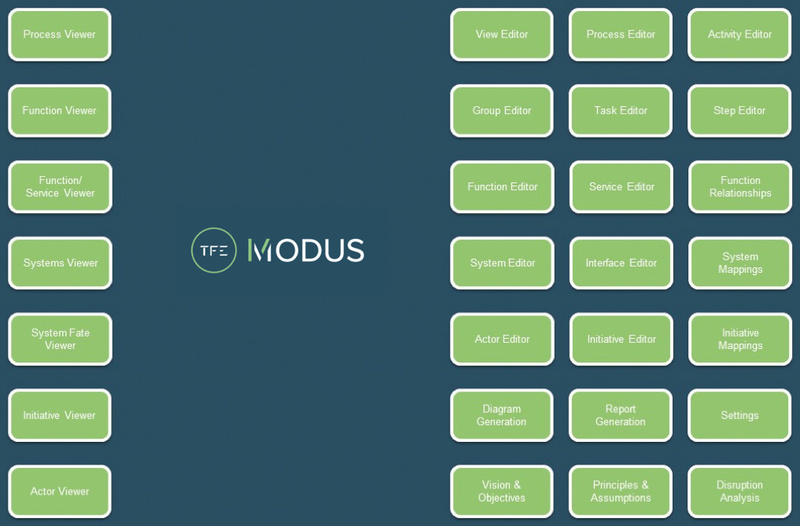 TFE-Modus Word Generator – Process documentation, functional documentation, service descriptions, system descriptions, user story titles, and requirements all at the touch of a button! TFE-Modus PowerPoint Plugin – Generates up to date PowerPoint diagrams at the touch of a button. This allows us to accelerate delivery time and reduce maintenance cost.